This method is so simple and easy! 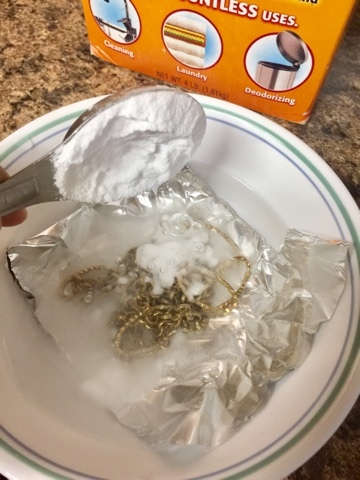 So if you have tarnished jewelry either fake or real, this technique work wonders. 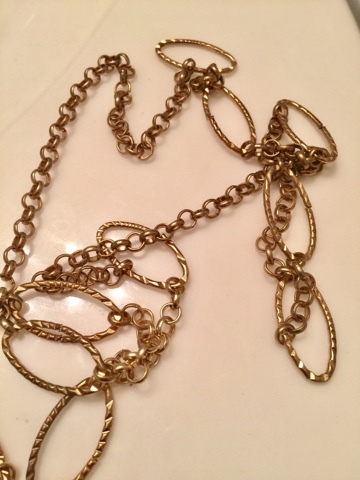 Here's my tarnished costume/fake jewelry that has been sitting in my jewelry box for awhile. I'm planning to wear it this weekend so I decided to bring it back to life. 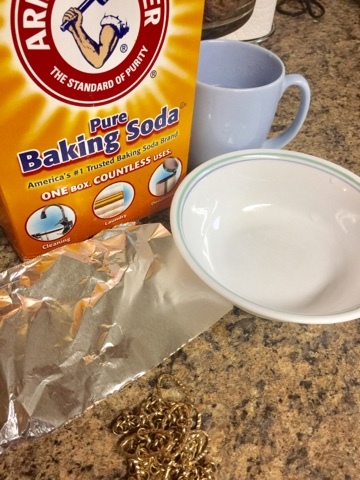 You need: 1 tbsp of baking soda, aluminum foil, bowl, and boiling water. 1. Add a tablespoon of baking soda and a sheet of aluminum foil. Pour enough boiling water to immerse the jewelry. 2. Make sure to move the piece around gently with a wood or plastic utensil to ensure that the surface come in contact with the aluminum foil. 3. 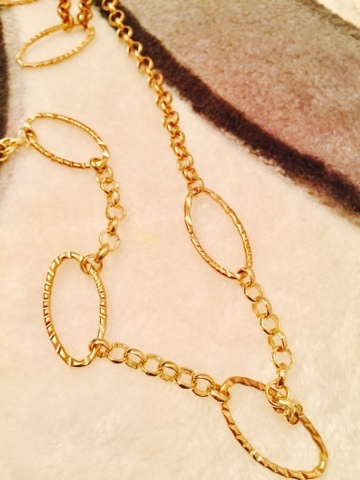 Then, rinse the jewelry under tap water and wipe the jewelry gently with an absorbent towel and polish with a soft cloth. 4. You can also blow dry it. I'm really satisfied with the result!